Check in to see what is going on in the Little Colley Design studio. Little Colley Design is so excited to now be found at Toy Division, the newest kids store in our hometown of Maplewood NJ. Owned by local mom and friend, Indira Villalobos-Starr, Toy Division is a beautiful kids store with an eye for design, selling cool crafted toys, books and room decor. Check them out on IG @toydivisionshop and facebook or better yet in person! 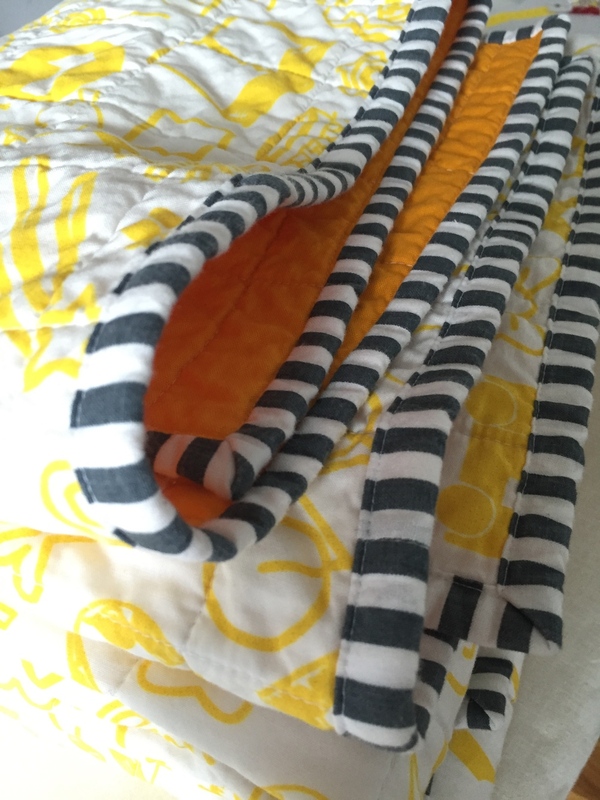 Check out the review of my Heart Quilt by Side by Side Baby! 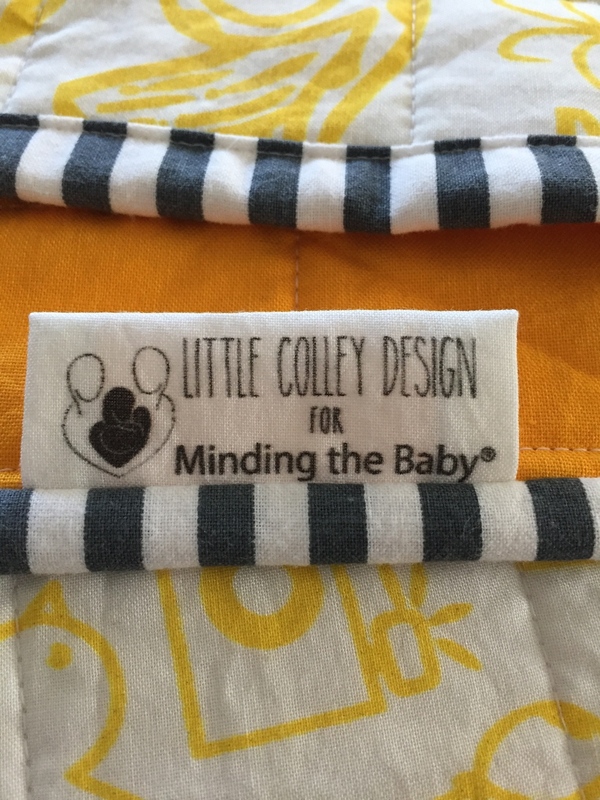 Little Colley Design has been collaborating with the Minding The Baby® program to design a new exclusive fabric for the Little Colley Design collection. Today I am thrilled to present the newest addition to our family the I-Spy quilt! 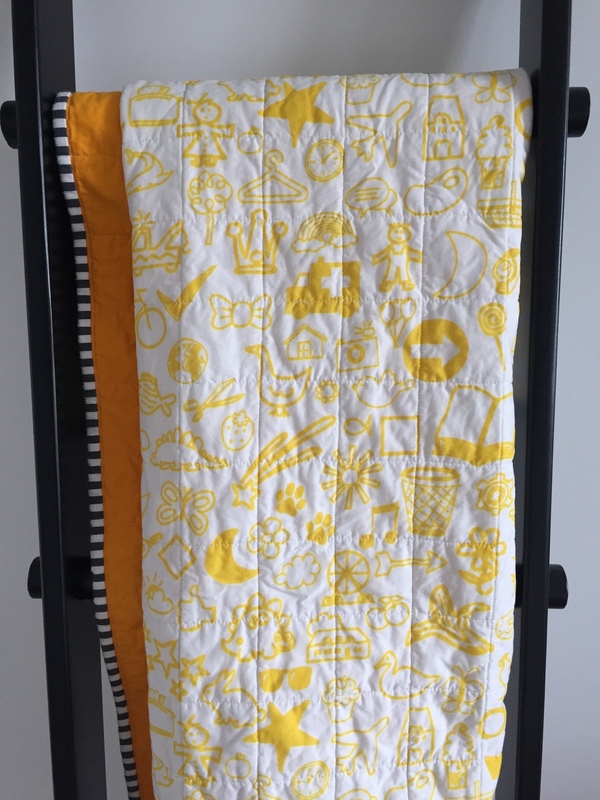 With the sale of every I-Spy quilt, Little Colley Design will make a $40 donation directly to the Minding the Baby® (MTB) program. MTB is an evidence-based home visiting program developed to strengthen the health and early relationships of young, vulnerable, first-time parents and their children. Nursing and social work teams of home visitors visit families beginning in pregnancy through their children’s second birthday. Health, parenting and mental health services are provided in families’ homes. The MTB program has demonstrated successful outcomes in the areas of parent-child attachment relationships, infant and maternal health, child maltreatment, and child behavior. For more information, or to make an additional donation, please visit mtb.yale.edu. I am so thrilled to report that Little Colley Design quilts are now available for sale in their first retail location, L.A.B. Brooklyn. 114 Driggs Ave Brooklyn. L.A.B. Brooklyn is comprised of two local Greenpointers, Bea and Rob, with invaluable entrepreneurial, business and fine art experience. L.A.B. Brooklyn was created as a new venue to highlight local Brooklyn-based artists, designers and entrepreneurs as well as be a vital part of the community. In addition to showcasing unique pieces, there is a classroom to hold workshops and classes in the back of the space. Classes can encompass everything from painting to jewelry making, fostering an environment of creativity within the community. Please check the website for the most up-to-date listing of available workshops and events. Little Colley Design is pleased to announce that black quilts will now be offered in all prints! A new cotton fabric was just added to our lineup that holds ink exceptionally well, allowing for more vibrant and rich colors for our quilts. And as always if you want a color that is not currently available, please send an email to discuss a custom order.